And Moses was learned in all the wisdom of the Egyptians, and was mighty in words and in deeds. And when he was full forty years old, it came into his heart to visit his brethren the children of Israel. And seeing one of them suffer wrong, he defended him, and avenged him that was oppressed, and smote the Egyptian: For he supposed his brethren would have understood how that God by his hand would deliver them: but they understood not. And the next day he shewed himself unto them as they strove, and would have set them at one again, saying, Sirs, ye are brethren; why do ye wrong one to another? But he that did his neighbour wrong thrust him away, saying, Who made thee a ruler and a judge over us? Wilt thou kill me, as thou diddest the Egyptian yesterday? Then fled Moses at this saying, and was a stranger in the land of Madian, where he begat two sons. And when forty years were expired, there appeared to him in the wilderness of mount Sina an angel of the Lord in a flame of fire in a bush. When Moses saw it, he wondered at the sight: and as he drew near to behold it, the voice of the Lord came unto him, Saying, I am the God of thy fathers, the God of Abraham, and the God of Isaac, and the God of Jacob. Then Moses trembled, and durst not behold. Then said the Lord to him, Put off thy shoes from thy feet: for the place where thou standest is holy ground. I have seen, I have seen the affliction of my people which is in Egypt, and I have heard their groaning, and am come down to deliver them. And now come, I will send thee into Egypt. Some people think that everything stops at Salvation. They think, once you get saved all you need to do is read your Bible, pray and come to church. Salvation is not the end, but only the beginning! Once you get saved, God then wants to do a work on the inside of you. Jesus said out of your belly fill flow rivers of living water! God doesn’t use people who are special; He looks for, and uses people who are available. The Bible says that His eyes run to and fro throughout the whole look and He’s looking for someone that He might show Himself strong on their behalf. God is looking for someone available, and someone who will yield to Him, so that He can empower them to do a work! 1 Samuel 10:6 Then the Spirit of the LORD will come upon you mightily, and you shall prophesy with them and be changed into another man. When you encounter God, everything about your life will change. You can’t encounter God and stay the same! The Bible says that we go from Glory to Glory (2 Cor 3:18). 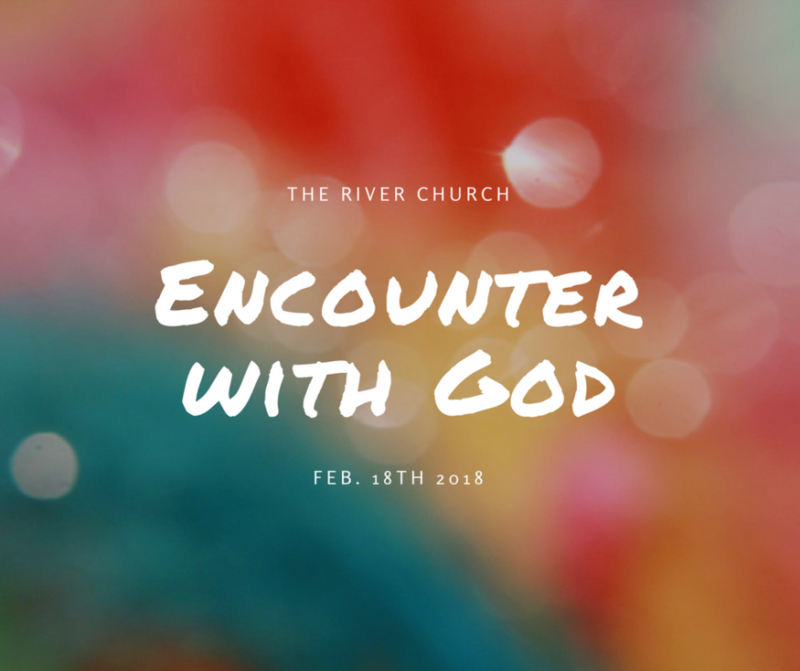 There is nothing wrong with you that one encounter with God cannot fix! Moses spent 40 years in the wilderness after killing an Egyptian, the Bible said that he understood God would deliver the Israelites from Egypt by his hand. He must have felt like he failed God while he was hiding in the wilderness. He must have felt like God could have never used him after what He did. But when he encountered God, and was empowered to do signs and wonders, God used him in a might way to deliver His people! Jesus promised it; the Apostles had it; you need it! The Apostles encountered God in Acts 2 at Pentecost. Peter, who was timid and had just denied Jesus 3 times, stood up and preached to over 3000 people in Jesus name! Like Isaiah we must say, “Here I am Lord, Send me!”. Jesus told if us we hunger and thirst, we shall be Filled.